I’ve been working in the field of global health for about 23 years, mostly in Haiti, but I’ve also worked in Africa and South America. My background is medical anthropology, so I guess you could call my work the anthropology of health in other countries, mostly in developing countries. The reason I care about global health, and compassion in particular, is due to my experience working in poor countries. This has made me keenly aware of the horrific disparities that exist between the rich countries and the poor countries in the way that people live and have access to healthcare. I think this is a fundamental problem that needs to be addressed. Some people might challenge the validity of taking a compassionate approach—that it’s too soft, that it doesn’t fit with the kind of scientific endeavor. I would agree that this may be a legitimate point to raise. A compassionate approach as a means to address disparities is different than how we typically work. However, compassion is no more out of place than talking about ethics, social justice, and the cultural aspects of global health; these are all soft, intangible things. But global health is not all needles and vaccines. It might be very hard to do, but that doesn’t mean we shouldn’t try. This is my definition of compassion: you have to take a framework of starting where the people are, what their priorities are, what they think is important, and what their identified needs are. We need to be working with this rather than bringing our own agenda. That’s what true compassion is, but for most of the history of public health and global health, we have not behaved this way. 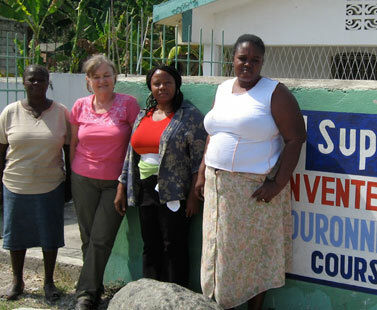 Women have always been an important focus of global health work for many reasons. In particular, they are the caretakers of children. Much of the work in global health has been focused on infant and child health because that’s where the greatest mortality is. However, maternal mortality is also very high. We’ve made tremendous strides in reducing infant mortality. Maternal mortality has improved some but not as significantly as infant mortality. The reason for this is that we do not have any technology and practical quick solutions to address it. We need long-term, broad-based infrastructural change to put a good healthcare system in place to reduce maternal mortality, and that’s what’s lacking. What we have are these very narrowly defined programs that focus on AIDS or tuberculosis or whatever, but unless you tackle the long-term needs of basic health development in a country, there’s certain things you can’t solve. 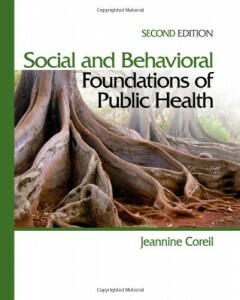 Dr. Coreil (retired) held the position of Professor with the Department of Community and Family Health, College of Public Health, University of South Florida and with the Department of Anthropology, University of Miami. Trained in medical anthropology and social-behavioral sciences, Professor Coreil’s areas of research included infectious diseases, illness support groups, women’s health and qualitative research methods. She has conducted sociomedical and ethnographic research among Haitian Americans and Hispanics, in addition to numerous studies of cultural factors and health in Haiti since 1978. Her most recent research focused on stigma and tuberculosis in Haitian populations, and cultural diversity within breast cancer support groups in Florida.